A single-car accident on Interstate 195 sent a man to the hospital over the weekend. According to Massachusetts State Police (MSP), the accident happened just before 7:00 p.m. in Swansea near Exit 2. The driver of the SUV drove into the median and flipped his vehicle. Officials don’t know what exactly caused the accident yet, according to Wicked Local. 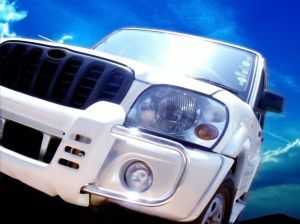 Our Swansea car accident lawyers understand that the vehicle involved in the accident was an SUV. These larger vehicles are supposed to provide drivers with more power and more protection. Unfortunately, they’re much more likely to be involved in rollover accidents, which oftentimes produce serious or fatal injuries. About 40 percent of Americans think they’re actually safer in an SUV than in a passenger car. That’s just not true! SUVs rollover more than any other kind of car on the market. As a matter of fact, rollover accidents account for nearly 40 percent of all fatal accidents involving an SUV. That’s high in comparison to the 15 percent rollover rate for passenger cars. In 2006 SUVs had the highest occupant fatality rate of any kind of vehicle in rollover accidents at more than 7.75 per 100,000 registered vehicles. This is in comparison to the with 3.10 for vans, 6.98 for pickup trucks and 3.18 for passenger cars. You’d be surprised by how many of these accidents are single-vehicle accidents, too. In 2006, more than 45 percent of single-vehicle rollover accidents involved an SUV. Less than 40 percent involved pickups and about 21 percent in passenger cars. In 2006, there were nearly 8,100 SUV occupants killed in traffic accidents. -Riding in an SUV because they’re narrow vehicles with higher centers of gravity, making them more susceptible. -Speeding. Exceeding the speed limit or driving too fast for the current weather conditions contributes to about 40 percent of rollover accidents. -Alcohol. About half of all fatal rollover accidents involved a driver who was under the influence of alcohol. Don’t forget to buckle up either! More than 70 percent of people who are killed in rollover accidents were not wearing a seat belt when the accident happened. Be careful in rural areas as well, as about three-fourths of these accidents happen in these areas. -Do your homework. If you’re looking into purchasing an SUV, look at the accident stats and look for a wider vehicle that comes equipped with electronic stability control (ESC). -Be careful behind the wheel. Avoid sudden sharp turns. -Slow it down. Excessive speeds only increase your risks for a rollover. -Keep an eye on your tires. Many sure they’re properly inflated and that they’re not overly worn. -Never drive under the influence of alcohol or drugs. -Adjust your driving to accommodate road conditions. If you have been in an accident, contact Law Offices of Jeffrey S. Glassman for a free and confidential consultation to discuss your rights. Call 1-877-617-5333.